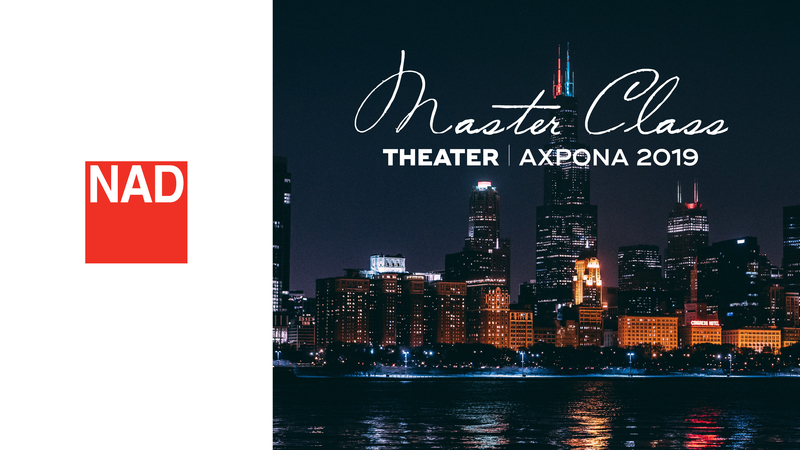 In less than four weeks, NAD Electronics, along with its sister company PSB Speakers, will touch down in Schaumburg, IL, for Axpona, the largest high-end audio show in North America. Over the course of three days, attendees will be immersed in all things audio, with access to various listening-rooms, seminars and live musical performances. This year, NAD has specially curated a wide range of seminars, covering topics such as The Future of High Resolution Audio and The Ins and Outs of Room Correction. Attendees will also have the chance to hear exclusive demos of acclaimed NAD components such as the EISA award-winning NAD M32, NAD C 588 turntable, and the all-new NAD M10, as well as experience state-of-the-art technologies like MQA and Dirac Live. Stereophile‘s John Atkinson sits down with NAD’s Chief Technology Officer, Greg Stidsen, to discuss trends in high performance streaming audio, introducing the next generation to high fidelity, and his long-time collaboration with PSB Speakers’ founder, Paul Barton. No one wants to live in an anechoic chamber and there’s only so much that physical adaptations to a room can do to compensate for sound distortions. And that’s where room correction comes in. Learn from the experts at Dirac Research as they walk through what room correction is, how it works, and how common features in a room can distort your listening enjoyment and how to optimize your listening environment. Two teams, comprised of a mix of industry experts and enthusiastic audience members, will face off against each other for the illustrious and inaugural NAD Sherlock Ohms Award for Deductive Trivia! Join us for loads of trivia, friendly competition, prizes, and bragging rights! Products on Display: NAD M10, NAD C 588, Bluesound POWERNODE 2i, Dali Oberon 6, Dali Rubicon 6. Activations: MQA demonstration Friday – Sunday, 12:00 PM – 1:00 PM; Dirac Live demonstration Friday – Sunday, 11:00 AM – 12:00 PM and 1:00 PM – 2:00 PM. Products on Display: NAD C 658, NAD C 268, NAD C 588, NAD M32, NAD M10, PSB Imagine T3, Bluesound POWERNODE 2i. Activations: Roon demonstration Friday – Sunday, 1:00 PM – 2:00 PM; MQA demonstration Friday – Sunday, 2:00 PM – 3:00 PM; Dirac Live demonstration Friday – Sunday, 3:00 PM – 4:00 PM.